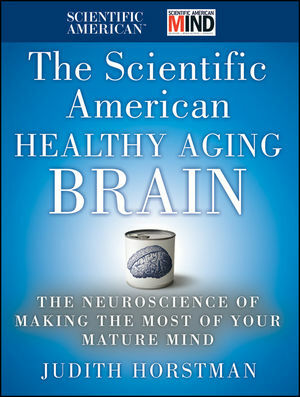 The Scientific American Healthy Aging Brain taps into the most current research to present a realistic and encouraging view of the well-aged brain, a sobering look at what can go wrong––and at what might help you and your brain stay healthy longer. Neurologists and psychologists have discovered the aging brain is much more elastic and supple than previously thought, and that happiness actually increases with age. While our short-term memory may not be what it was, dementia is not inevitable. Far from disintegrating, the elder brain can continue to develop and adapt in many ways and stay sharp as it ages.